This February 18th & 19th we celebrate the 10th Anniversary of CHOP SHOP: Bodies of Work, A Contemporary Dance Festival. A creation of founder and Producer/Curator Eva Stone, the festival has reached its tenth anniversary as a direct result of both her and managing director Lizzy Melton’s extraordinary efforts and devotion. 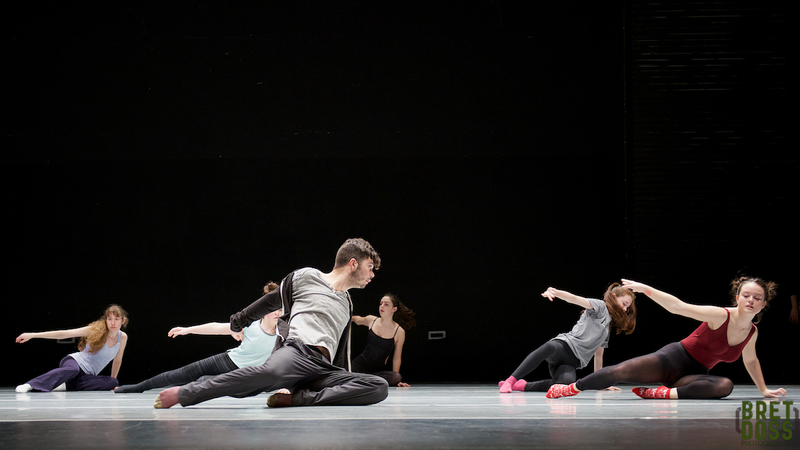 Each year, they review submissions from around the world and curate a unique contemporary dance festival weekend at the Theatre at Meydenbauer Center in Bellevue, Washington. As it is in their nature to go above and beyond to support Dance and Dancers, they also provide two free Experience Dance Program courses (Intro to Modern Dance and a Reading Dance lecture/demonstration), and the participants each receive a $5 ticket to the CHOP SHOP performance of their choice. Leveraging my small role on the CHOP SHOP Advisory Board, I was granted access to shoot behind the scenes & ‘from-the-wings’ photos of classes and performances at last year’s festival. If you follow my blog, you’ll already know how much I love doing this. I’m doing a short series of posts in the run up to this year’s CHOP SHOP. Worth reiterating: I attended this Master Class as a photographer, not a dancer, primarily because I am in no way a dancer. My perspective and experience at the class was mostly through my viewfinder. As it was my first master class, I didn’t quite know what to expect, so I did my usual thing to prep: pack more lenses than I would need, a back up camera body, and generally tried to be ready for anything. One doesn’t use flash in these situations, so I chose equipment that would allow me to work in low light if necessary. 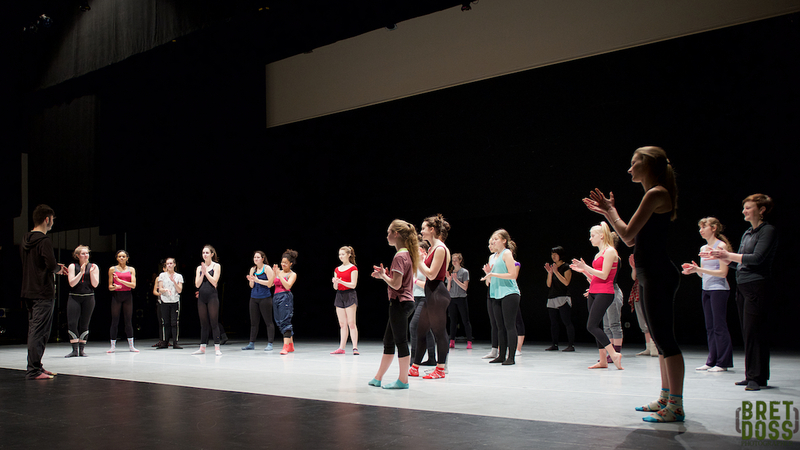 The class was full, and taught on the performance stage at the Meydenbauer. While television and film might have one thinking that such classes and rehearsals are full of drama, tension and ego, my experience has been the opposite: pure professionalism, calmness, good humor, kindness, support, and consideration are the norm. Coleman’s class was no different: He taught quietly, with care and attention. Students were attentive and eager. One of the things that particularly stood out to me was a certain organic organization rather than a formalized process: while much of the class was taught with the entire group on stage, at times, to allow more freedom of movement for students (and more direct attention from him), Coleman would have the students move to the wings, then simply say something like “Let’s have groups of six take the stage and perform the movements.” The students just naturally came out in groups of six, no counting off, or pointing and gathering into groups: six dancers would just start moving onto the stage. When they were done and moving off to the wings, six more would just move out from various spots onto the stage. I was fascinated by this informal, organic, successful approach. Below are some images from Coleman Pester’s Master Class at last year’s CHOP SHOP. 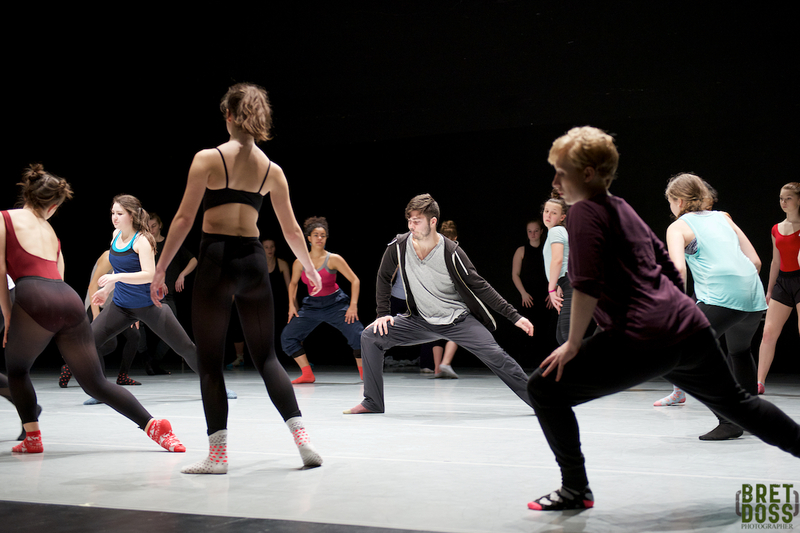 Next up is a post about the Reading Dance lecture/demonstration from last year as well. In the meantime, be sure to get your tickets for this year’s 10th Anniversary CHOP SHOP, Feb 18th-19th — a not to be missed event. Register for Master Classes here.